Tetraflex HD - Resources - Lenstec, Inc.
Local news station piece on the Tetraflex in action. 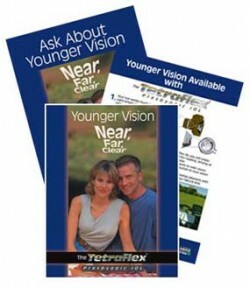 Lenstec has available an 8-page patient brochure and two patient posters. Files are available at the link below so that you can have them printed in your local language. These hi-res files are available in various formats for FREE downloading. They have all the graphics and photographs in place, with no text, so you can insert your local language. A lo-res file with English text is also available to aid you in translating the correct text.